If we included non-electronic forms of networking, e.g., mail or package handling networks then we reached the conclusion that connectionless packet switching where each packet contains the full destination address of the recepient was far older than circuit switching. However, in the electronic era analog voice circuit switching preceeded any form of electronic message switching by many decades. However it wasn&apos;t long after the first digital voice circuits and hierarchies were deployed that the very first commercial digital packet switching systems were developed. Such systems were developed under extreme hardware processing constraints. In going from a TDM or FDM (frequency division multiplexing) system to one based on packet multiplexing — sometimes refered to as statistical multiplexing — we need some way to tell apart packets bound for different destinations on a link. In IP and Ethernet we just use addresses, however these were far too long to be processed by early digital hardware. At a minimum we need to label a packet so that we can enable multiplexing and demultiplexing, i.e., we can tell one packet apart from other packets bound for different destinations on the same link. This led to a connection oriented form of packet switching based on labels with the following properties. Labels only need to be unique on a per link basis and not a per network basis. Labels could be reused after a connection using that label was torn down. This was in analogy with circuit switching where phone connections would reuse trunk timeslots as connections were torn down and setup. Based on the above labels could be much shorter than the number of possible destination addresses since addresses need to be network wide unique and cannot be reused. In X.25, Figure 1, there were two levels of labels. The logical channel number — 8 bits — and the logical channel group number — 4 bits. In Frame Relay, Figures 2 and 3, the label is called the Data Link Connection Identifier and could be either 10, 16, 19, or 25 bits long. In ATM, Figure 4, there are two levels of labels known as the Virtual Path Identifier (VPI) — 12 bits — and the Virtual Channel Identifier (VCI) — 16 bits. 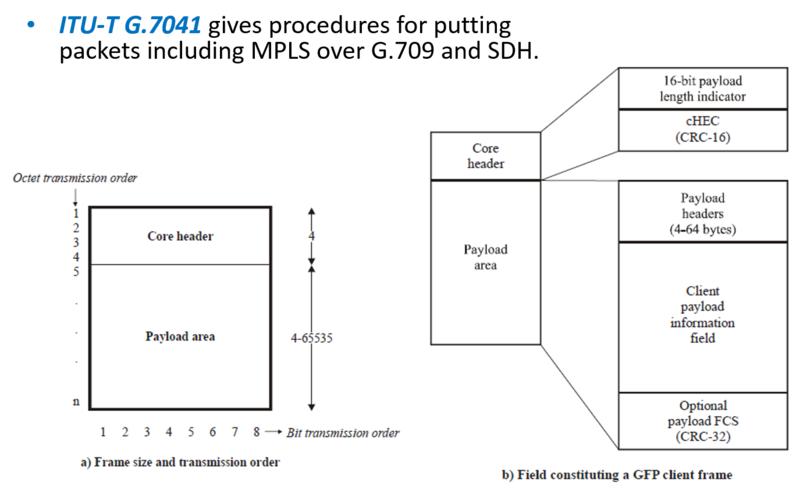 Figure 1: X.25 packet format 1. 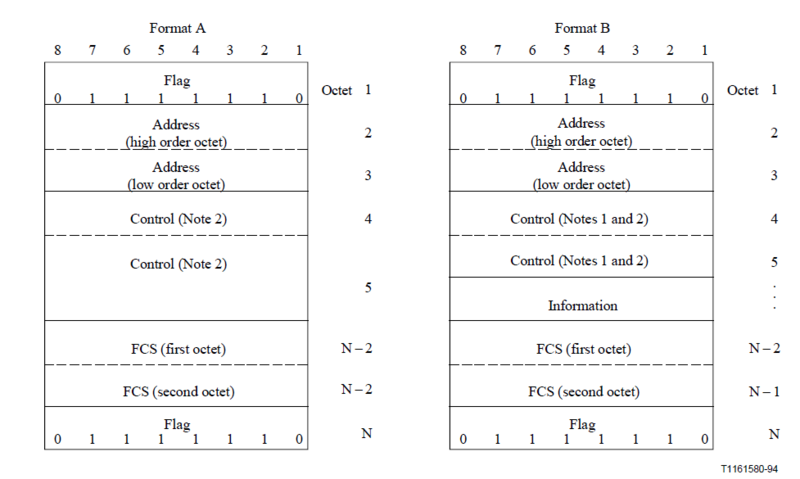 Figure 2: Frame Relay packet format 2. Figure 3: Frame Relay "address" format. Figure 4: ATM cell formats from Wikipedia. In the above list and figures you may have noticed that in Frame Relay and ATM the size of the "labels" were starting to get rather large. Doesn&apos;t this counter the idea of small labels for fast hardware processing? Actually not. Unlike an IP router or an Ethernet switch that must be able to forward a packet as long as it has a "legal" address. Switches that work with labels are allowed to support only a limited range of labels. Hence the specifications show the maximum number of labels that ever could be supported. 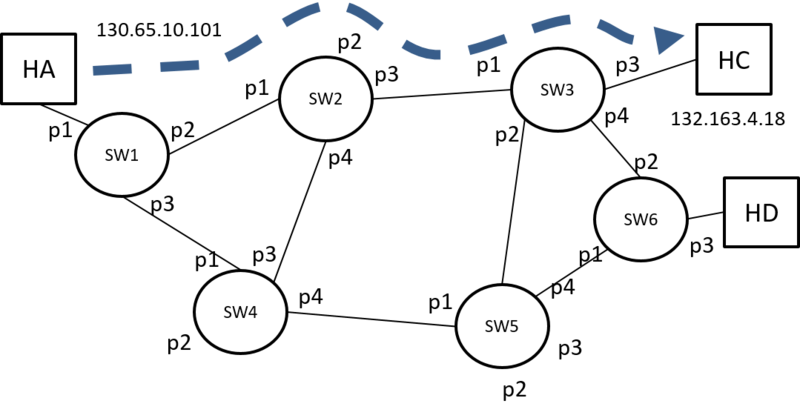 To enable data to flow from source to destination in a label switched — connection oriented — packet network we need to set up a connection, i.e., set up appropriate forwarding tables on each switch along the path. In the process of doing this we must pay attention to label restrictions on each switch along the path. We&apos;ll see this idea again in GMPLS for optical networks where the "labels" are extremely constrained. Aside: Over the years the general notion of label switching has used a number of other names including : Virtual Circuits, Connection Oriented Packet Switching, and Tag switching. 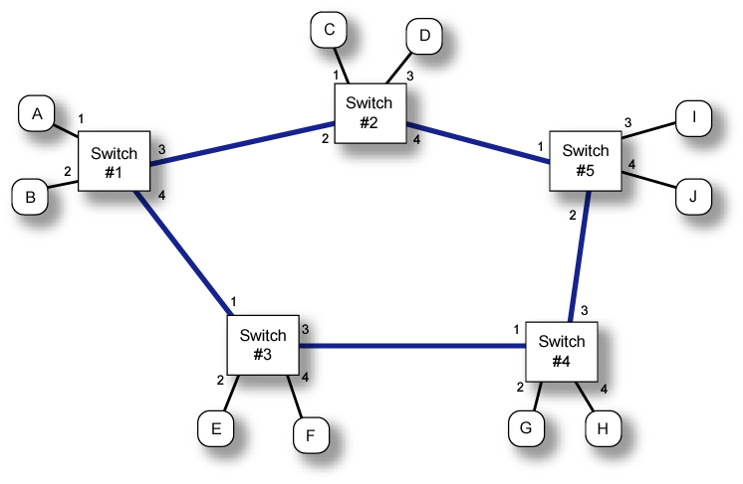 Consider the network shown in Figure 5 consisting of five switches and ten hosts. We&apos;ll use this network to illustrate the basics of label switched networking. Figure 5: Example network for label and datagram switching. Suppose that the following hosts wish to communicate with each other: Host A to Host J, Host B to Host C, Host E to Host I, Host D to Host H, and Host A to Host G. The first thing we would need to do is select paths across the network for each communicating pair. One has a great deal of flexibility in the choice of path as we&apos;ll discuss later. 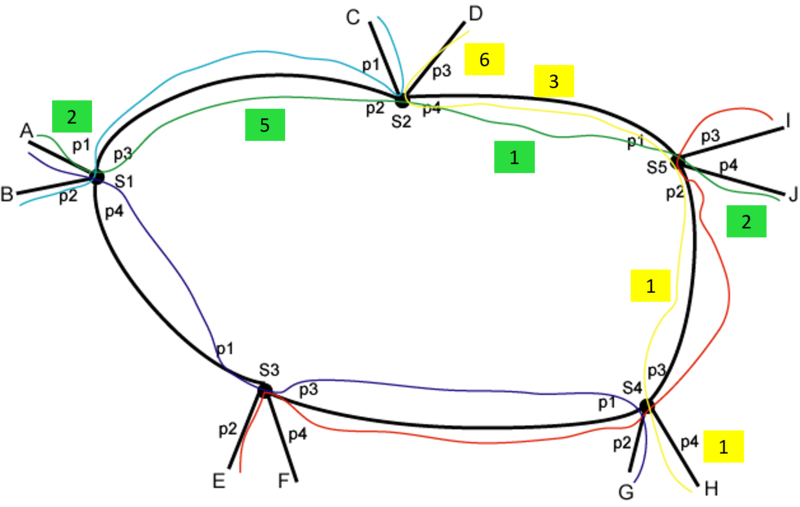 For now consider the paths shown in the Figure 6. Figure 6: Path choices for communicating hosts. Figure 7: Label assignment example. With the labels assigned we can now set up the label switching forwarding tables on each switch, Figure 8. These consists of a map of tuples (in port, in label) to (out port, out label). We frequently call an individual element of a label switch forwarding table a cross-connect (xconnect). Figure 8: Label switched forwarding tables. Question: How many entries are there in a switches forwarding table? Answer: There is an entry in the forwarding table for each LSP that traverses that particular switch and NOT for each LSP in the network. In datagram switching — also known as connecitonless packet switching — switching is based on addresses. In this class we use Ethernet and IP as examples of datagram switching. In the most commonly implemented form of datagram switching, switching is based on destination address only. As a reminder network addresses are generally network-wide unique. In Figure 9 we show a set of possible datagram forwarding tables. Figure 9: Datagram forwarding tables for the previous network. Question: How many entries does the forwarding table of a datagram switch (aka IP router) theoretically need? Answer: One for every endpoint (destination) in the network, i.e., N entries. Question: In practice how does one reduce the number of entries in an IP routing table? Answer: Default routes and address summarization/aggregation. We see that the label is quite long, 20 bits, giving us the potential for lots of LSPs on any particular link. Similar to IP the label stack entry contains a time to live (TTL) field to guard against loops. As one might guess from the name that the label stack entries can be "stacked" to produce nested LSPs (multiplex hierarchies) which we&apos;ll study in a bit. Unlike past label switching (virtual circuit) technologies MPLS was specifically architected to work with IP. In particular Edge Label Switched Routers (E-LSRs) are required to be able to work with IP only hosts and subnetworks while the LSRs in the core of an MPLS network only need to switch based on labels. This is illustrated in Figure 10. Figure 10: IP and MPLS working together in a network. On ingress (enterance) to an MPLS network the E-LSR (edge LSR) pushes labels onto the front of an IP packet so that the core LSRs only need to switch based on that label. On egress (exit) from the MPLS network the E-LSR pops (removes) the label from the front of the IP packet before forwarding the packet on to an IP host or subnetwork. We call the group of IP packet streams (or flows) that are forwarded in the same manner a forwarding equivalence class (FEC). Do not confuse this with "forward error correction (FEC)" these are completely different things working at very different layers. 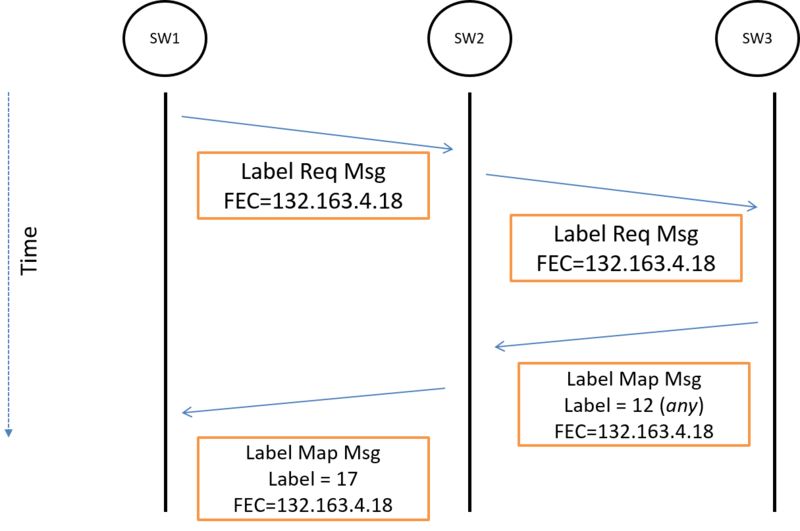 It is the job of the ingress LSR (on the boundary of the MPLS network) when receiving an IP packet to “classify” it into an FEC, then, “push” the label of the corresponding FEC onto that IP packet for transport on the MPLS network. DiffServ Code Point (DSCP) → QoS related information. We’ll learn about this towards the end of the course. Could one look at more fields in the incoming packet? Yes. What would marketing have to say about that? We’ve invented Layer 4, Layer 6, Layer 7 switching! We&apos;ll also see an extension of these classification fields when we look at the OpenFlow protocol for Software Defined Networks (SDNs). Previously we saw a need for approximately N2 LSPs for full communications between N endpoints. As there are techniques to reduce IP forwarding table size, there are techniques to reduce the number of LSP cross connects in an LSR. The simplest of these is the concept of LSP merging. 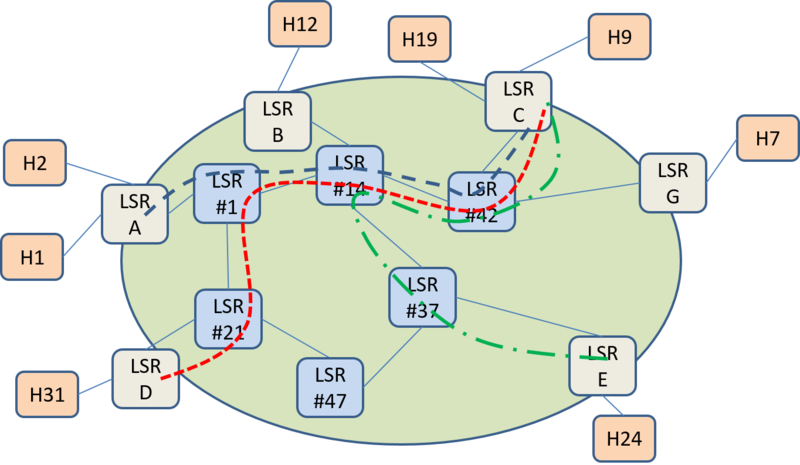 Consider the network shown in Figure 11 with three LSPs highlighed. 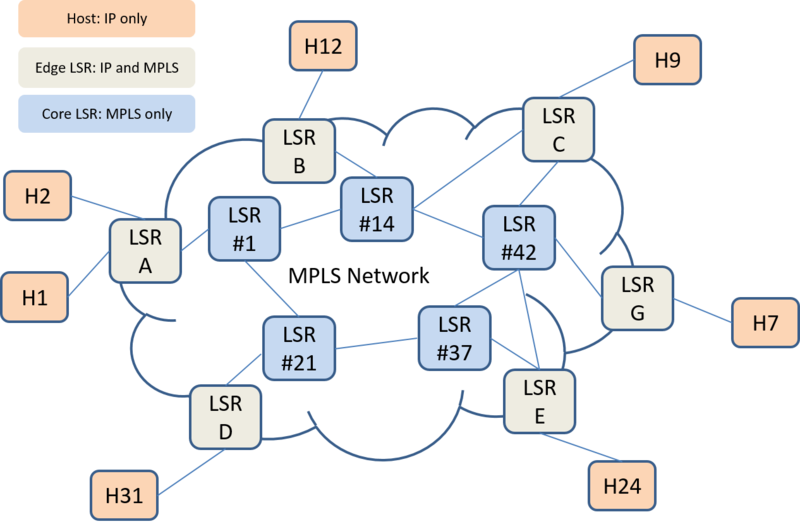 Figure 11: MPLS network with example LSPs. Can we be more efficient? If MPLS is carrying IP packets, as is the case here, we note that all these LSPs terminate at LSR C where the label is popped and the IP packets are forwarded on to hosts or subnets. 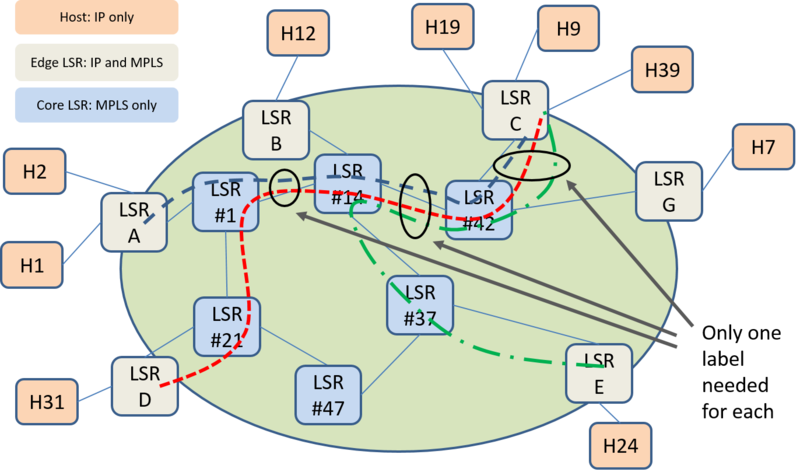 Hence we still have IP addresses as "demultiplexing" information to help us tell them apart at E-LSR C. It seems that we don&apos;t need to keep three distinct LSPs throughout the network but could merge LSPs at LSR #1, LSR #14, LSR #42 as shown in Figure 12. Figure 12: LSP merging with common destination and overlaping paths. Core network LSRs suffer most from the N2 LSP connectivity problem since they provide connectivity to potentially many more endpoints than an edge network. Core network LSRs generally need to be faster (higher capacity) than edge network LSRs. There is a limited number of "good" paths across any network especially the core network. For example the paths produced by a k-shortest path algorithm or diverse path algorithm. 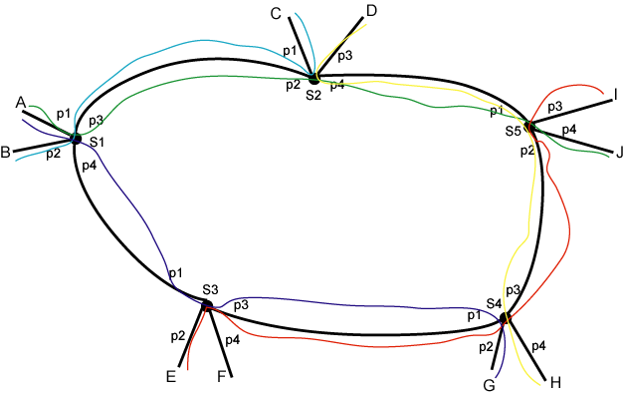 Figure 13: LSPs with many overlapping link segments. To reduce the number of LSPs needed in the core network we can set up tunnels for various popular paths across the core network and then put the end-to-end LSPs through the appropriate core tunnels. This is done by utilizing a stack of labels rather than just a single label. 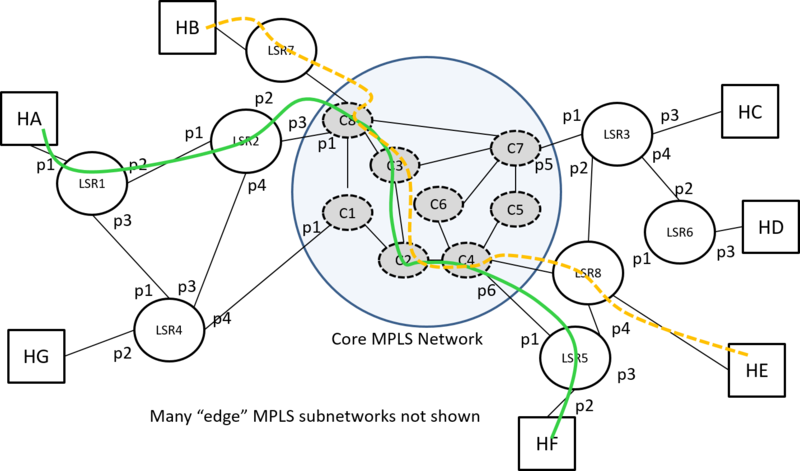 In Figure 14 we show part of the overlap of the previous LSPs replace by a tunnel across the core and indicate where additional label push and pop operations occur within the core network. Figure 14: LSP tunnels via label push and pop. From the above list we see that the "instructions" that the forwarding plane gets from its "forwarding table" is more complicated than an (input port, input label) to (output port, ouput label) mapping. In the MPLS archtecture RFC3031 they call this "forwarding instruction" a Next Hop Label Forwarding Entry (NHLFE). Figure 15: Generic Framing Procedure encapsulation. RFC 2702 Requirements for Traffic Engineering Over, 1999-09. RFC 3031 Multiprotocol Label Switching Architecture, 2001-01. RFC 3032 MPLS Label Stack Encoding, 2001-01. RFC 3034 Use of Label Switching on Frame Relay Networks Specification, 2001-01. RFC 3035 MPLS using LDP and ATM VC Switching, 2001-01. RFC 5036 LDP Specification, 2007-10. RFC 3037 LDP Applicability, 2001-01. RFC 3209 RSVP-TE: Extensions to RSVP for LSP Tunnels, 2001-12. RFC 3210 Applicability Statement for Extensions to RSVP for LSP-Tunnels, 2001-12. RFC 3469 Framework for Multi-Protocol Label Switching (MPLS)-based Recovery, 2003-02. How can I launch a DOS/DDOS attack against a host or subnetwork in an MPLS network? To do so would require creating multiple LSPs to that host or subnetwork. But since these are setup either via management or signaling (control plane) they would be refused. Hence MPLS networks are more resilient to many types of attacks. Another way to think about this is that MPLS provides increased isolation compared to datagram networks which makes it popular for the creation of VPNs. How could I make better use of network resources in an MPLS network versus an IP network? In many IP routing protocols one makes use of shortest path algorithms to compute and configure forwarding tables. 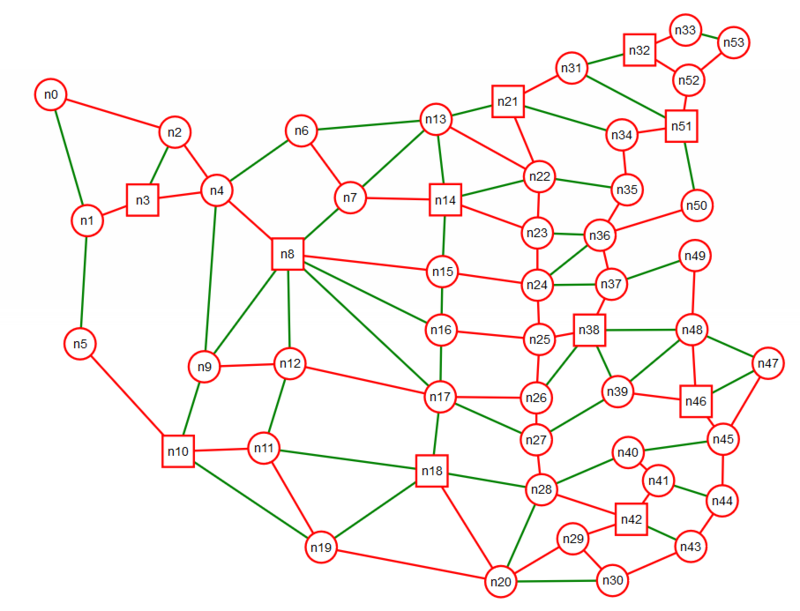 In Figure 16 we show a network — loosely based on an actual network topology in China — where we have colored links on the shortest path tree to node n30 in red and links not on the shortest path tree are shown in green. Figure 16: Shortest path tree to node n30. One thing we notice in this network is that many of the tree "branches" converge into a common trunk. This could lead to significant congestion on these "trunk" links. However it seems that there are a fair number of links not being used and that the cost in terms of distance for using those links might not be much worse that the shortest path. 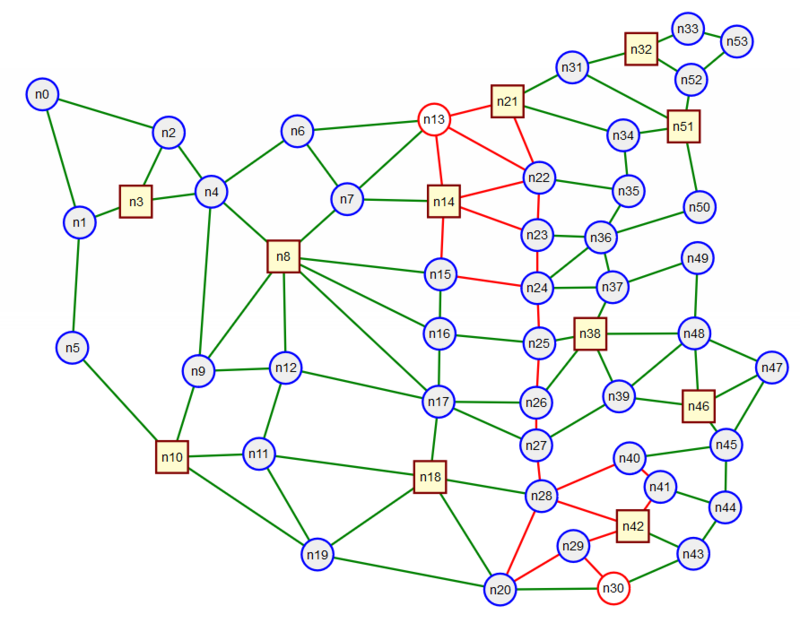 In Figure 17 we highlight just the links on the shortest path between nodes n13 and n30. The length of this shortest path in graphical units is 334.0. 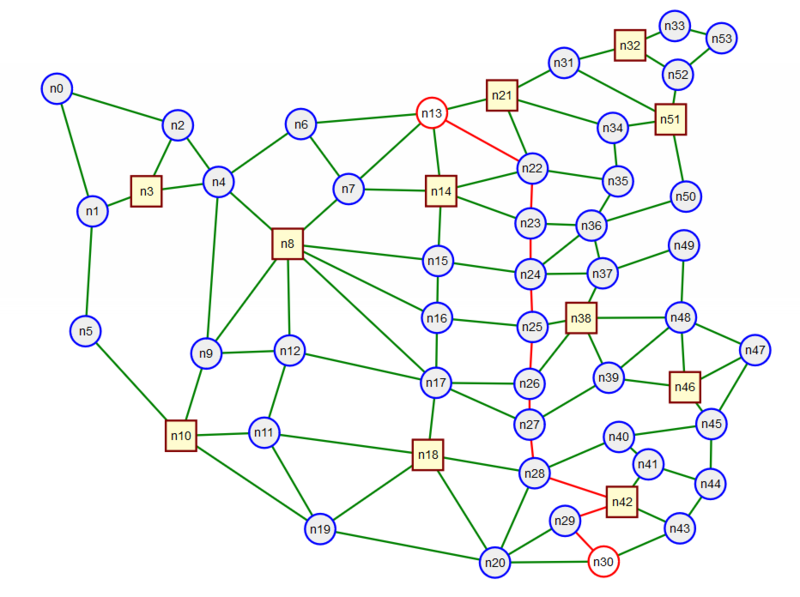 Figure 17: Shortest path from node n13 to node n30. Using a k-shortest path algorithm we can compute the 10 shortest paths, Figure 18, and see that the longest has a length of 368.7 units. Just slightly more than a 10% increase in length over the shortest path. Each of these additional 9 shortest paths avoids one or more links used by the shortest paths hence could possibly avoid a congested link. The process of choosing paths based on traffic conditions or demands is known as traffic engineering. MPLS&apos;s data plane being based on LSPs is well suited to traffic engineering, however, as we will see, not all MPLS control planes support traffic engineering. This is in contrast with destination based IP routing in which all paths to a destination must be part of a tree rooted on that destination. Separate from the routing protocol for explicitly routed paths for traffic engineering and other purposes when using RSVP-TE signaling protocol. See slides for more figures and animations. Nodes can add additional information about links in their advertisements to peers. A node tags discovered link information with its “name” so that that peers know it came from you. Nodes don’t resend information that they receive that is tagged from themselves. 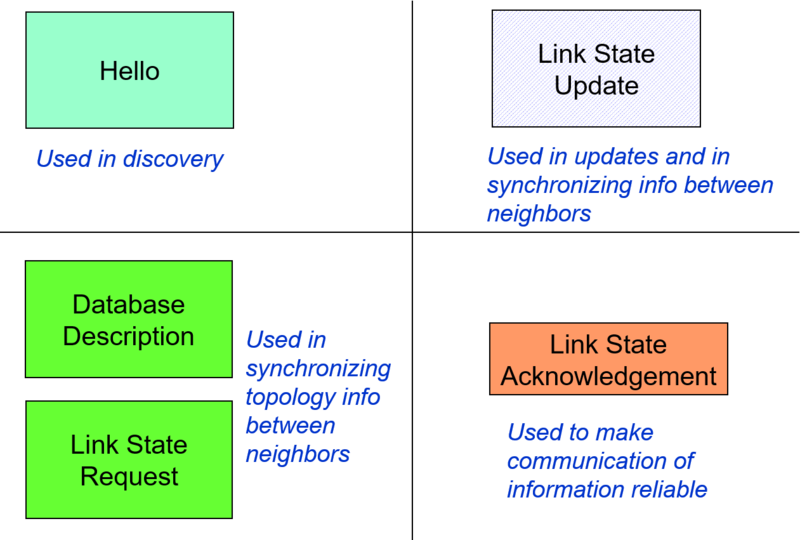 Notes have a smart process to quickly bring a new neighbor node "up to speed", i.e., synchronization. Figure 19: OSPF packet types and their uses. As we just saw we can use a routing protocol to discover LSRs and their connectivity, and if desired compute paths for potential LSPs. However we don&apos;t yet have a way to assign labels and fill in an LSR&apos;s forwarding table. This requires extra functionality that of "label distribution". There are currently three widely deployed approaches to label distribution: (a) The Label Distribution Protocol (LDP), (b) RSVP-TE (reservation protocol with traffic engineering extensions), (c) piggy backing label distribution on BGP (the border gateway routing protocol). We&apos;ll cover (a) and (b) in this course. "LDP is a protocol defined for distributing labels. It is the set of procedures and messages by which Label Switched Routers (LSRs) establish Label Switched Paths (LSPs) through a network by mapping network-layer routing information directly to data-link layer switched paths." “LDP discovery is a mechanism that enables an LSR to discover potential LDP peers.” This is control plane discovery and is separate from the data plane discovery performed by OSPF or other IGP. "There are four categories of LDP messages:"
"Discovery messages, used to announce and maintain the presence of an LSR in a network." "Session messages, used to establish, maintain, and terminate sessions between LDP peers." "Advertisement messages, used to create, change, and delete label mappings for FECs." "Notification messages, used to provide advisory information and to signal error information." Suppose we want to setup the LSP shown in Figure 20. Figure 20: A (unidirectional) LSP based on a path from the routing protocol. MPLS thinks in terms of unidirectional LSPs, i.e., a bidirectional connection would be thought of as two unidirectional LSPs. Downstream is the direction of packet flow. Don&apos;t confuse this with the flow of "signaling" messages used to create the LSP. Who should determine the label used on a link for a particular LSP? Who has the harder “hardware” job the upstream or downstream LSR? Why? The upstream just needs to place a number in the header, while the downstream has to perform a look up based on the label, hence the downstream’s “hardware” job is harder so it gets to choose the label. Who knows about the FEC initially? The upstream LSR. Hence upstream LSR asks downstream LSR for a label. How does the upstream LSR know which downstream LSR to ask for a label? It looks at its IP routing table. 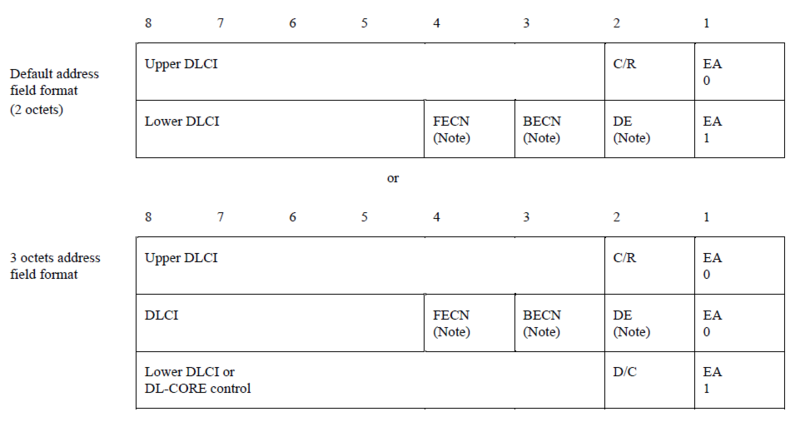 LDP uses the IP route tables to determine the LSPs path for the FEC. This is good for setting up MPLS based IP VPNs to give customers isolation, but not useful for network traffic engineering. To illustrate the setup of an LSP in a network we can use a message sequence chart as shown in Figure 21. 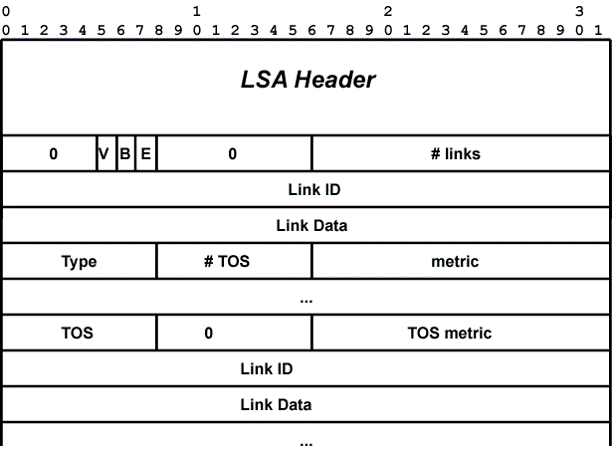 Figure 21: Message sequence chart for setting up the LSP from above. For point to point links in a single OSPF area only the Router LSA is relevant to us now. Its format is shown in the figure below. In this figure we see that along with the data associated with a link is a "metric" field. (Note that multiple TOS fields were never widely used or deployed). This is the "weight" or "distance" number used in the shortest path computations. Figure 22: OSPFv2 Router link state advertisement format. One thing that we don&apos;t see in the Router LSA is any information to help with traffic engineering. What kind of information might be helpful? new class of link state advertisements (LSAs) called Opaque LSAs. So they support a metric different from that used by IP, and a number of flavors of link bandwidth. We will discuss an alternative method for label distribution, RSVP-TE, that supports traffic engineering via explicit paths in the section on GMPLS. ITU-T, “Interface between Data Terminal Equipment (DTE) and Data Circuit-terminating Equipment (DCE) for terminals operating in the packet mode and connected to public data networks by dedicated circuit,” X.25, Oct. 1996. ITU-T, “ISDN user-network interface - Data link layer specification,” Q.921, Sep. 1997.